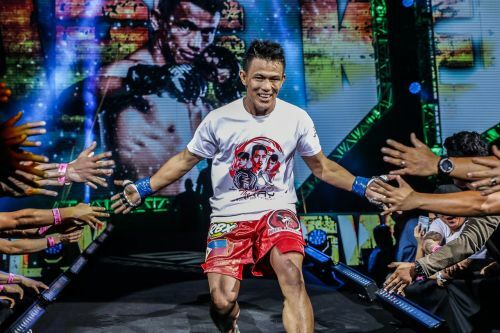 Filipino mixed martial artist Edward “The Ferocious” Kelly is looking to join his Team Lakay stablemates in the ONE Championship history books as world champions, and he hopes to be able to realize that dream this year. The hard-hitting striker is set to clash with former ONE Featherweight World Championship challenger Christian “The Warrior” Lee of Singapore in a highly-anticipated featherweight rematch at ONE: ETERNAL GLORY in Jakarta, Indonesia on 19 January. Aside from earning another victory against Lee, the 34-year old Filipino is also out to prove that this time around, he won’t need a disqualification to win. During their last meeting back in September of 2018, Lee was disqualified after landing a slam that was deemed illegal. “In our first match-up, I learned that he’s overly aggressive, so that’s what I’m preparing for,” Kelly shared on the ONE Championship website. Kelly added that he will be watching out for the young Singaporean’s ground game as well. “He’s explosive, and he’s good on the ground – a submission artist,” he added. “I’ll try my best not to get trapped in those submissions. I think his aggressiveness could also be his downfall. Lee has said that he’s looking to earn a first-round finish, but Kelly believes otherwise. The 34-year old Kelly will be Team Lakay’s first member to compete in 2019, after the stable’s magnificent 2018 campaign that saw them capture four world championships in ONE. This year, Kelly hopes to be able to also hoist world championship gold, but also realizes that it won’t come easy.